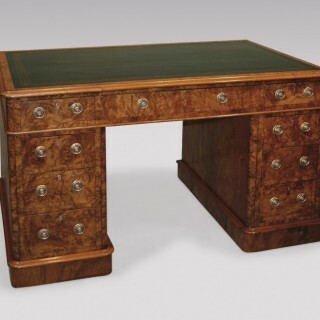 A mid 19th Century walnut and burr Pedestal Desk of attractive small proportions, having moulded edge gilt tooled blue leather top. 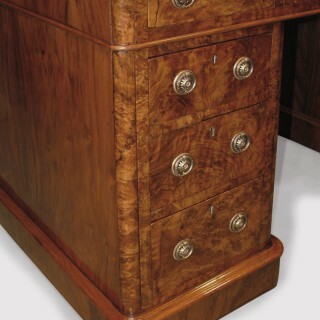 The Desk having various graduated drawers, flanked by re-entrant corners supported on moulded plinth base. 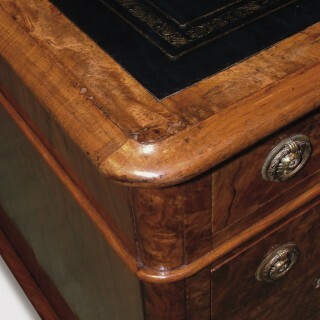 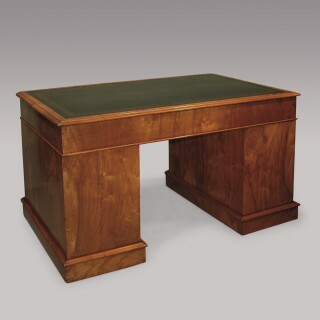 A mid 19th Century walnut and burr walnut Pedestal Desk.